Seat manufacturing demands a keen attention to ergonomics and the science of how our bodies behave at rest, in motion and while interacting with electronic controls, passengers and the world outside. Furthermore, material stresses and durability, strength, noise and vibration, and weight are all issues for seating engineers just as they are for experts in powertrain or airframe development. One thing about seating technology: Getting it right is likely to help sell that car and have you smiling at the end of road trip or flight—or not. In the near future, seating will be a key part of the urban autonomous vehicle “experience” that will resemble our living rooms more than our harried racetrack shots to the supermarket and workplace. Image 1. Adient has a mission to improve the rider experience and the environment. 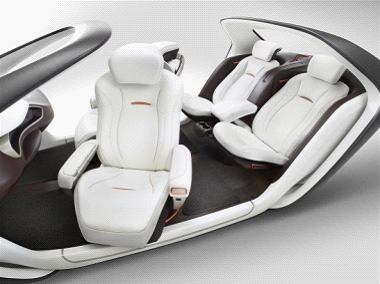 This AI17 automated driving seating system demonstrates how automated driving will impact the driver and passenger experience in a contemporary premium vehicle; it debuted at the North American International Auto Show in Detroit. Seating is a more complex product field than one would first expect. Its market and manufacturing path are full of variables that need to be streamlined and made manageable to accommodate an array of customers, partners and end missions. Design, test, production and review must all be on the same page. And like a thread loose in stitching or a small vibration traveling through a ventilation system—data itself has anomalies and “flavors” that can make the mathematics behind product definition uneven or dissonant. Out-of-sync data handicaps quality, speed, cost and goals related to automation. Adient, the global leader in automotive seating—spun off from Johnson Controls in October 2016 as an independent entity—is a trailblazer in both products and product development. Their goal of an Integrated Model Creation Process is a recognition that quality and innovation depend on data accuracy, and that accuracy and reliability of data are underlying requirements for automation and efficiency. With that in mind, collaborating among 5,600 employees in 12 core development centers, connected to more than 230 manufacturing and assembly plants across 32 countries, demands a clear process vision. “We are a true global company of 75,000 people operating among different time zones, cultures, customers and partners and, importantly, drawing on many different computer-aided design (CAD) systems to build our products,” says Ramanamurthy H Pentakota, Global Director of IP, Technical Services and Operations at Adient. How do Tier One suppliers reconcile the geometric differences, manufacturing instructions and Bill-of-Materials (BOM) associated with the different OEM and partner CAD systems? The answers vary, but for Adient fidelity to their Integrated Model Creation Process offers a uniform path forward. “We try to standardize on a single CAD platform in-house, specialize in two more, and then faithfully recognize the original data from another 25-30 different CAD and analysis environments that send information to us,” said Ram. 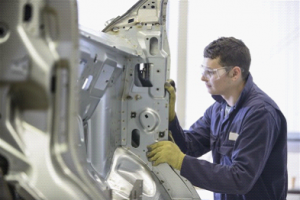 Four years ago Adient engaged Elysium to provide the software tools needed to translate and package all the data for their different OEMs and suppliers. “The validated modeling data that Elysium facilitates is a key part of our integrated process approach to Model-Based Definition (MBD) and a Model-Based Enterprise (MBE),” says Ram. Adient approaches complexity through its own standardization, modularization and simplification of products and processes. What happens at the front-end in design they know will affect Lean efforts at administration and manufacturing. One form of standardization is the use of Elysium software for implementing modeling best practices and checking those models to ensure that the outputs meet the exact deliverables asked for by customers. So, if the deliverable is in NX with a specific set of manufacturing annotations, then that can be written into the program configuration and translation and be automatically validated. Image 2. OEM customers run on tight schedules. Adient’s just-in-time manufacturing can take as little as 90 minutes from original order to final delivery. Around 2015, Ram and his team had in place the foundation of what they felt was needed for geometric healing and repair, FEA analysis, manufacturability, modeling-and-process best practices, reporting, translation, validation, migration and storage. A suite of software tools provided this in a package that included CADdoctor, CADfeature and ASFALIS, among other elements such as CADValidator and V5-JT DirectTranslator. With centralization in mind but ease-of-use for its global locations, Adient used its existing web portal to distribute the Elysium validation and full product quality system to its stakeholders worldwide. Image 3. Figure 2. Shown above is Elysium’s 3D PDF validation report detecting an engineering change in which a hole diameter has been modified from 40 mm to 52 mm. Associative geometry is highlighted for easy interpretation. In the field of translation and validation, accuracy is speed. Accuracy prevents rework in the models that pass between geometry creation and analysis. It prevents wasteful reconciliation of the digital design to the “as manufactured” model. It allows for team collaboration around innovation in each phase rather than unnecessary forensic debates about the model itself. Fundamental to accuracy in a world that is moving toward MBD/E is the use of original vendor Application Programming Interfaces (APIs) to ensure that geometry and product intelligence in translations are not simply interpretations or flavors of the source data. Industry is insisting more on use of APIs and CAD/PLM vendors are encouraging the API effort as part of their open-platform strategy and focus on customer-success. Adient produces whole seating systems from fabrics to frames and tracks. It supplies nearly every automotive company in the world and leads by volume, among other measurements. Automotive OEMs often choose to divide components between one or more seating suppliers to maintain a diverse supply base. To lower costs and promote part interchangeability, the company practices a high degree of standardization and modularity. This strategy also works beautifully for the car companies, which spread parts and systems throughout their own vehicle platforms. 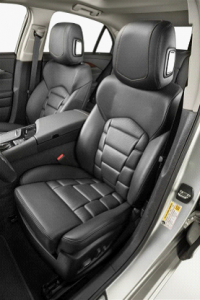 Naturally, the best seat designs and components find common use within and outside individual automotive firms. Company A may specify a system used by Company B. There may also be several suppliers of seating fabrics and foams that need to integrate their products with Adient back frame and track assemblies, called metal structures, in places ranging from Europe to Asia. Here, the complexity—minimized for the seating products thanks to standardization—traditionally surfaces in the exchange of data, where issues of Geometric Dimensions & Tolerances (GD&T) and assembly fit come into play. European Company A has source data and requires deliverables in NX, its neighboring Company B in CATIA and the Asian assembly plants for each OEM work in three different versions of CATIA. Image 4. Adient manufactures its products using innovative steel and hybrid materials, allowing them to lower the weight of the seating structures and mechanisms by up to 25 percent – without sacrificing strength. With lighter, thinner designs, their components help customers save space – and make their vehicles more fuel efficient and environmentally friendly. 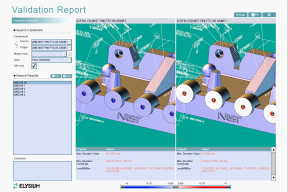 Producing an API-based Master Model via Elysium in both NX and CATIA allows the original geometry and manufacturing instructions to be preserved as intended and the Asian versions of CATIA validated to their NX and CATIA masters. This has the practical effect of standardizing resources in hardware, software, skilled designers, best practices, and methodology, primarily in a single system, while still achieving deliverables in multiple other systems and flavors. Shorter product life and engineering development cycles are moving the automotive industry away from 2D toward 3D MBD/E processes that serve end-to-end automation from design to manufacturing and marketing. Where engineering and management disciplines had manual or paper transition points, tomorrow’s data environments will be interconnected and quickly available to support decisions or run machines and electronics. That is a real-world vision propelled by breakneck innovation and the necessity to keep up or fall behind. “Robust translation and validation off source information—and insight into that data—is what will keep ‘Industry 4.0’ and true automation on track,” says Ram. “Then we need to embed rich data, such as all the combinations of processes that create a drill hole, with materials and suppliers, costs, and other profiles. We have GD&T and PMI now. Everyone is using that. But we want to take it to the next level of product intelligence—manufacturing-processes intelligence baked into the CAD model so that machine software picks that up and actually does the programming, optimized and without error. With smart seats for autonomous vehicles in the planning, Adient is thinking about feedback loops that report posture and ergonomics and enable e-commerce to improve the passenger experience. Translating the future—be it for the rider or the data traveling underneath and throughout that experience—is what Adient is driving for at full speed.